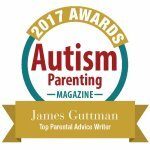 No Autism Assumptions – Hi Blog! I'm Dad. To my wife, Disney World is the happiest place on Earth. My daughter and I both echo her sentiments, checking in at second and third place for Mickey Mouse excitement in the family. Lucas clocks in dead last. That’s not to say that he doesn’t like Disney World. He does. It’s just not that big of a deal for him. I guess the assumption is that it has to do with him being non-verbal and on the Autism spectrum. Honestly, though, I’m not entirely sure. He might just be too cool for school. I view my son as a modern day Fonzie because I’ve watched in amazement as he’s completely blown off a massive fireworks presentation happening right above his head. While many might assume that loud noises would frighten someone on the spectrum, my son once again proves Autism assumptions wrong. Not only can he ignore them, he can sleep through them. This time, however, he was firmly planted in his iPad while we strolled him around Epcot like a little prince. The park was closing soon and, as the sun went down, the number of people pushing towards the exit was increasing. It was like drowning in darkness and humans, only with brightly colored explosions rocking the sky above you. I know some people enjoy things like this. I’m not one of them. My anxiety was starting to do back flips and remind me of countless nightmares I had that resembled this exact scenario. Lucas, though, was Captain Cool as Hell. Lounging back in his stroller, he was swiping away on his apps and laughing along. He might as well have been at the library. I knelt down and tapped him on the leg. He smiled at me through his furious iPading. As he did, I pointed above us. Look, Lucas. Look. Do you see the fireworks? Wow, right? He does it to me all the time and always makes me laugh. He knows I’m usually looking for a greeting so, if I’m bothering him at a time when he’s busy, he will give me a shut-Dad-up wave so I’ll move on. Just further proof that you don’t need to have language to have attitude. The point here is that my son is content. If you give him an iPad or an electronic game, he will happily tune out the world as it burns around him. Many times, I face an internal debate about whether I should pry him away from his little universe to come join mine. There’s a side of me that says it would be selfish and take away from the fun he’s having just to force him into a photo op. Then, there’s another that says it would be selfish to leave him out because I fear how he might react. Nothing like having two sides of your brain both battle each other with the main theme being that, no matter your choice, you’re selfish. It all gets decided on a case by case basis. Many times I will err on the side of leaving him be unless it’s a moment that can’t be missed. That’s what happened on that same Disney Trip two years ago while dining at the Lilo and Stitch character breakfast, where characters would freely walk around and hug you at your table. Olivia loved it, but Lucas was just there for the Mickey Waffles. I could see him staring off and taking little interest in the entire event. Then, just as I was ready to start joining him in a blank stare of my own, Stitch started a conga line. As it came past us, time stopped and my brain immediately began calculating every aspect of whether I should make him jump in. Could he have a meltdown? Maybe. Who cares, though, right? I have to do it with him. Sure it could be corny. But whatever. After all, this is Disney. Happiest place on Earth. Even if not, who cares what these people see? I’m never going to see them again. Worse comes to worse, we sit back down. Who cares? I don’t care. I’m already wearing a shirt with Mickey Mouse on it. No judgments. We’re doing it. Let’s conga. Here’s the thing. All of those thoughts took place in my head over the span of half a second. I literally snatched him up by the hand and the two of us sprang to the line almost immediately. To my amazement, he grabbed a maraca and began to swing. Soon, we were not only a part of the big dance line, we were leading it. I couldn’t stop smiling as I danced around this crowded restaurant with my son by the hand. I’m not sure if there were other parents dancing with their kids. I don’t remember many. Then again, I don’t remember seeing much besides my own kids in that moment. I had complete tunnel vision and probably looked ridiculous. The rest of that breakfast was unique. Lucas met Mickey Mouse and Pluto without having to be forced to feign interest. He genuinely was present. It blew my mind at the time and looking back now, it still does. At a time when we were desperate for signs that Lucas was aware of many things happening around him, he stepped up and gave us one. It was a magic moment and one that could have easily never happened if I made a different decision in that split second. He didn’t do that again when we had dinner later that day or even much for the entire trip, but he did it at that breakfast and that’s what mattered. Whether it became a regular occurrence or not didn’t change our morning. I tried not to view this proud moment as an opportunity for a future letdown due to misplaced expectations. If there’s one thing I’ve learned since becoming Lucas’s dad, it’s that what happens today – good or bad – happens today. It doesn’t mean that anything like it will happen tomorrow. Pinning your hopes on that will not only guarantee failure but tarnish the memory of when it did. If anything did change that day for me, it’s that I started trying to involve him a bit more often now, even in situations he wouldn’t care less about missing. If I attempt to get him to snap a picture with a dude in a Chuck E. Cheese suit, he might drop to the ground and cry. But that’s a risk I take a bit more. If he does, I’ll thank the Cheese suit guy, pick my son up from the floor, and we’ll eat pizza. No big deal. Meltdowns happen and my worries about them happening occur more than they actually do. I had that same fear the morning we ended up leading a dance crew through Disney World dining. I try to remember that. If there is a moment that I think he might want to be a part of, I attempt to bring him in with no expectations or demands. I just want him to know that he’s always invited. Whether he takes us up on it or not is always up to him.